The Supreme Court ruled in favor of the Clark Fork Coalition. The DNRC Guidelines will now be in affect until the DNRC creates new rules OR the Montana Legislature re-writes the definition of combined appropriation. Exempt wells are NOT illegal. The ruling did not judge whether wells exempt from the permitting process were good or bad. The court determined that the 1993 rule on the definition of combined appropriation did not comply with the statute. One of those must be changed. To read the full ruling click here. Both the MWWDA attorney, Ryan Mattick, and Abby St. Lawrance, attorney for the Montana Association of Realtors and the Montana Homebuilder's Association have filed their final briefs with the Supreme Court. The entire case was given to the Justices on February 2nd and we new await their response. They can either decide to make their determination off of the information provided or they can request oral arguements. To read the full brief, just click on the link above. Our friends have filed their amicus briefs on our behalf (Water Systems Council & MACo) and the Realtor's & Homebuidlers' submitted their opening brief. The other side has now filed their responses. Clark Fork Coalition as the main defendant and the League of Cities, Trout Unlimited, Mountain Water and a handful of environmental groups as amicus. Both our attorney and the Realtors'/Homebuilders' attorneys now have until January 29th to file our final response to these. At that point, the case will be in the hands of the Supreme Court Justices. They will likely let us know within 30 days if they want oral arguments presented or will make their decision based off of the submitted record. The Clark Fork Coalition asked the Supreme Court to dismiss our appeal because the final rule was not yet adopted by the DNRC. Our attorney responded appropriately and the Supreme Court denied their motion. Our opening briefs will be due to the court late in November. To read all of the associated paperwork, just click as appropriate: Clark Fork Motion; Our Response; Supreme Court Decision. The DNRC has settled the attorney fee dispute by agreeing to pay $100,000 in fees to the Clark Fork Coalition. They futher agreed to NOT join in appealing Sherlock's original ruling on exempt wells. However, if the MWWDA, Builders and Realtors prevail at the Supreme Court, the state will not owe the money to CFC. To read the stipulation click here. Judge Sherlock awarded Clark Fork Coalition $197,000 in attorney fees payable by the DNRC. We understand that the DNRC is planning to appeal this to the Supreme Court. Our appeal of the original Sherlock ruling will remain on hold until this issue is settled. Our attorney has indicated that the appeal may require that the DNRC also weigh in supporting our appeal. 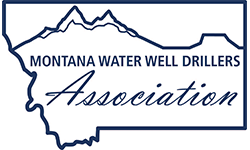 The Montana Water Well Drillers' requested a stay on Sherlock's ruling and on DNRC rulemaking. Sherlock denied our motion to stay his ruling but granted the motion on DNRC rulemaking. A link to his decision is below. This means that DNRC will not attempt to make new rules concerning exempt wells until AFTER the Supreme Court rules on our appeal. The appeal process is currently being delayed while the Clark Fork Coalition and the DNRC argue over attorney's fees. The Clark Fork Coalition has asked the court to award them attorney fees for the original District Court case. DNRC has objected. Sherlock has not yet ruled on this. In the mean time, the Clark Fork Coaltion has asked the Supreme Court for a delay in the process until attorney fees are determined. Although the Supreme Court has not issued an official ruling, they have also not scheduled due dates for initial briefs. At this point, we are operating under HB 168 and the DNRC guidelines for determining availability of exempt wells.